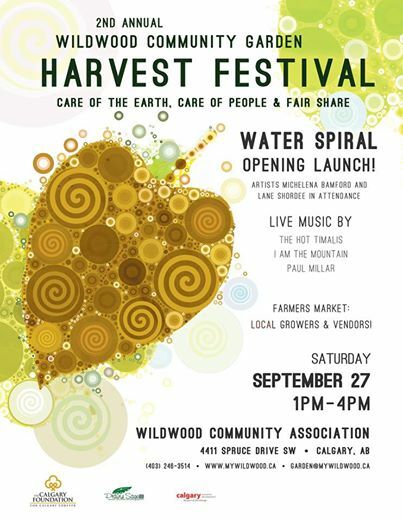 On September 27, in the Wildwood Community Garden, you can celebrate the official launch of the Water Spiral at their 2nd Community Harvest Festival. I’m not kidding you, I tripped out to this community all the way from mine in the deep southeast of Calgary, in McKenzie Lake, just to see what wonders an eco sensitive community and two artists might create together. What I found, amazed. My epic journey was on June 7 and a lot has happened since then! While I can’t possibly write, this morning, about the entire process, I can write about the wondrous day that I walked through the garden. What I saw, captured my heart. 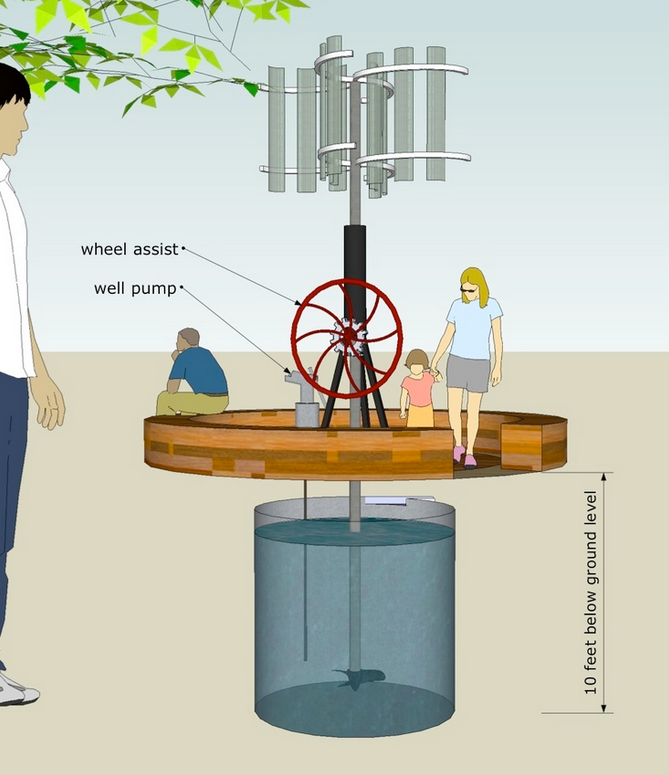 On June 7th, the Wildwood Community hosted the Water Spiral Community Workshop. It was with open arms that Michelena Bamford greeted my cousin, Margy, and me upon our arrival. Lane Shordee, at the time, was quietly engaged with a young man who was doing something inventive with wood. If you have opportunity to meet Michelena and Lane, you will see their humility first and then you will notice their greatness. Both are actively engaged artists, but with a twist. They both have a solid connection with sustainability and the earth. Surprisingly, I connected with both first at the Gorilla House. 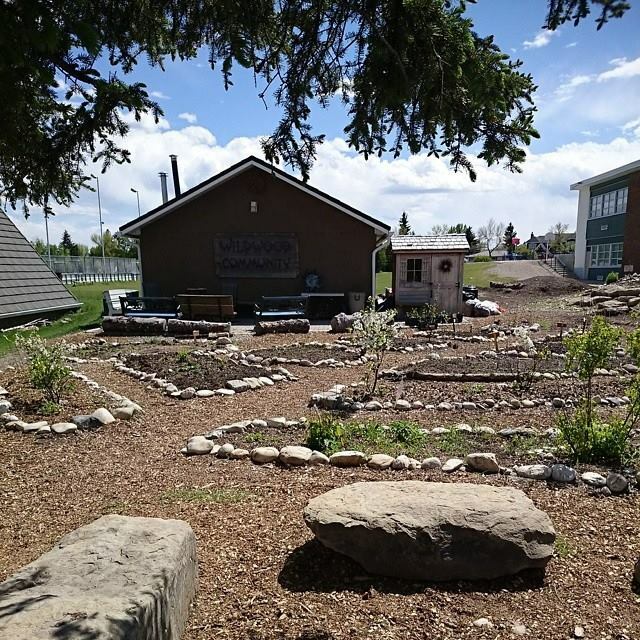 You can read about Michelena’s accomplishment by hooking into the Wolf Willow Studio website, some of which describes school mosaic mural construction and installation, public art projects and seasonal wreath construction. Lane’s work is very diverse and his projects include important contributions to both the Wreck City and Phantom Wing. 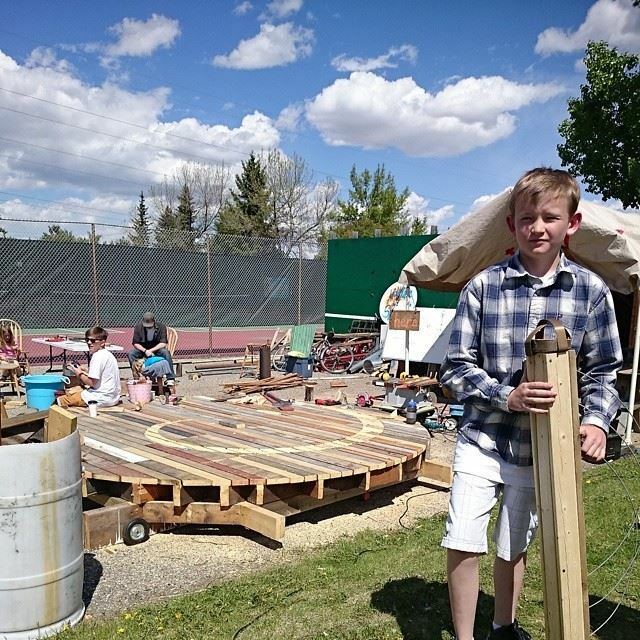 They are both inspiring creatives in the City of Calgary and the fact that they got together and successfully pitched the Water Spiral project was a blessing. For the complete process, hook in with the Water Spiral Facebook link that will take you through this labour of love from start to finish. It is such an amazing story. The smell of wood filled the air…the sound of hand saws and hammers to nails…children throwing water at one another…fathers with children, inventing…mothers, pushing strollers, exploring, chatting, meeting other mothers. All was magic. Margy and I first slipped into a trailer (Michelena’s family vacation mobile) to meet with Canadian Art Foundation Writing Award recipient, Jenna Swift. She was inspiring written intentions and blessings that would later be etched onto the underground cistern of the Water Spiral. 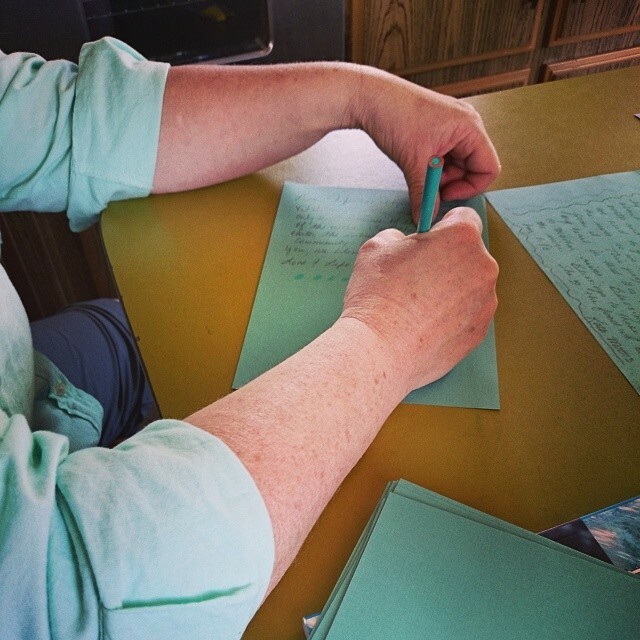 Given the fact that brevity is not my strong point, I felt that writing was a way to release my intentions; it didn’t matter if my words were to land onto a cistern. For me, the words were permanently etched on my heart. I view myself as a ‘river’ woman..and so, I am completely enamoured with any project that has to do with sustainability, protection and responsible use of water. This is how the Water Spiral works. I wrote of my connections with the protagonist Morag, a writer, who divines a river in Margaret Laurence’s novel, The Diviners. For me, as Laurence eloquently captures, the river of our lives flows both ways. We can not help but be connected. We are fluid. We breath one another in all day, every day. We need to be responsible for one another; for the air, the land and the most precious commodity, water. I wrote something about all of that on the blue-green piece of paper before me (generously donated by The Social Page). From the trailer, Margy and I did not contribute in construction, but we wandered the grounds, dodged water spray and children playing, munched on apples provided by the Apple Lady, spent time sitting in the sunshine observing, and then went to explore the lay out of the gardens, just newly planted, but evidently, organized by a community of people who enjoy an aesthetic, as well as a love for the land. The day was, as I call most days, a blessing-day! I was so taken by community members who welcomed us, chatted with us and encouraged us to seek out involvement and initiative in our own communities. 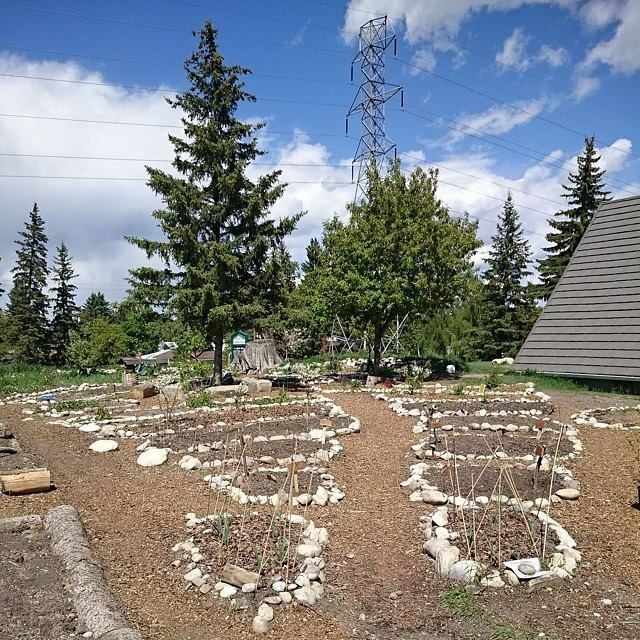 There is much in Calgary to be grateful for and because we are physically, such a sprawl, we need to go outside of our own part of the city to connect with and enjoy the company and vision of other Calgarians. It will be a wonderful thing to see the completed project and to enjoy the evidence of a great garden harvest in the Wildwood Community! I hope that my readers will find opportunity to attend the celebration of the Water Spiral on the 27th of September. It will delight you…inspire you and give you optimism for a healthier future. 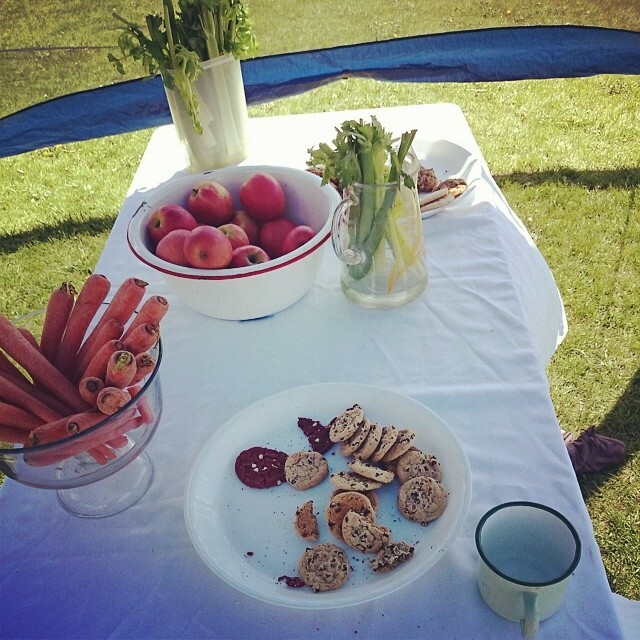 This entry was posted in Angels, Creativity, Environmental Concerns, Faith, Family, Feasting, Fine Arts, Friendship, Going Somewhere?, Gratitude, Magic, Observations of Nature, Projects, Rites and Ceremonies, Wellness and tagged Calgary, eco sensitivity, enviroment, events, Family, generations, Harvest Festival, Lane Shordee, Michelena Bamford, Sharing, Sustainability, Vegetables, water, Water Sprial, Wildwood Community by Painter Lady. Bookmark the permalink.